Bloodbound have always left a trail of outstanding albums in their wake, their last album ‘War Of Dragons’ was no exception and although throughout their career, the band have consistently struggled to retain a stable line-up, this has somehow hardly managed to affect their work. This year see’s the band release return to the fold with their latest album ‘Rise Of The Dragon Empire’. 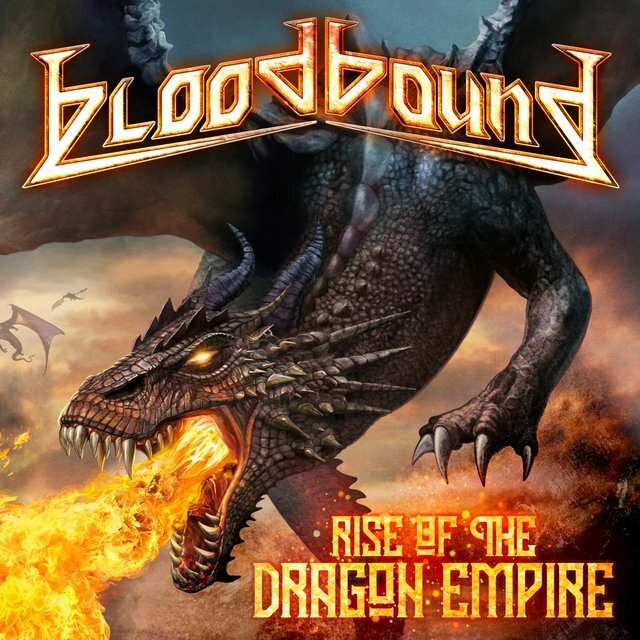 Those who know Bloodbound will be pleased to know that ‘Rise…’ is full of soaring melodic power metal vocals, quick paced riffs and fantasy themed lyrics that play out like a musical version of ‘Dungeons & Dragons’. Since joining the band, Patrik Selleby has stamped his mark all over Bloodbound and in doing so has become one of the most recognised vocalists in power metal. ‘Rise…’ follows on perfectly from ‘War of Dragons’ with large, grandiose tracks that borrows large slabs of lore from the world of Westeros with tracks such as ‘Balerion’, ‘Blackwater Bay’ and ‘Slayer of Kings’ which really helps bring the ideas of George R.R. Martin to life. However, ‘Rise…’ is more than a homage to ‘Game of Thrones’, it is an excellent tour de force of power metal that is pleasurable, enjoyable and memorable. Although ‘Rise…’ is stuffed full to the brim with power metal clichés, yet it is this which makes this album so much unadulterated fun. Once again, Bloodbound have delivered an album which is powerful, allowing ‘Rise…’ to have a huge amount of replayability. It would not be surprising if ‘Rise…’ was riding high not just in the best power metal albums of the year, but also albums of the year.